Mr. 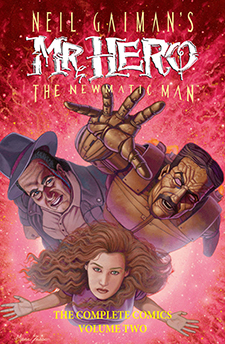 Hero is suffering an identity crisis of epic proportions — Every time he discovers “the truth” about his past, he uncovers something even more unbelievable. And why does he now have two heads? Are two heads better than one? And what’s the deal with his missing hand? All this and more is revealed– when MR. Hero journeys to the planet Kalighoul to find the answers. Super Genius is proud to collect the complete NEIL GAIMAN’S MR. 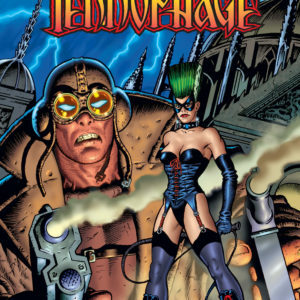 HERO comics in two volumes. 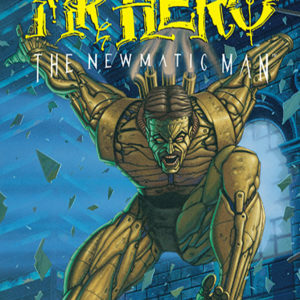 Based on a concept by best-selling author Neil Gaiman, written by James Vance, C.J. 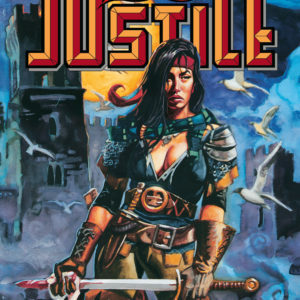 Henderson, Martin Powell, with art by Ted Slampyak, Seppo Makinen, Jose Delbo, Dave Hunt, and Terry Beatty, with painted covers by Marc Sasso. Plus: The premiere TEKNOPHAGE story by Rick Veitch, writer, Bryan Talbot and Angus McKie artists, and an all-new introduction by James Vance.